Today let's raise a toast to the golden goodness that is the waffle. 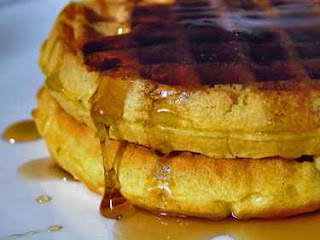 Preferably doused in authentic Canadian maple syrup, here's a celebration that is both sweet and savory. Enjoy National Waffle Day, everyone! I'm sure Aunt Jemima and Mrs. Butterworth are!